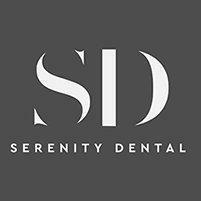 Serenity Dental, located in Austin, Texas offers general dentistry and periodontal services in a welcoming environment to patients in the Oak Hill, Barton Creek, Beecaves and Lakeway areas. Our state-of-the-art facility is equipped with the most advanced technology available. We offer many general and periodontal dental services, from crowns, fillings and implants to the latest non-invasive smile rejuvenation treatments like Invisalign and our comfortable teeth-whitening system. Dr. Mahwesh Razzaq is committed to make every patient’s experience at Serenity Dental, whether entailing emergency care, a root canal, dental implants, or wisdom teeth extractions as comfortable as possible. Along with providing excellent and advanced care, our doctor advocates preventive dentistry and is passionate about educating patients to promote a lifetime of optimal oral health. We understand how uneasy some patients can feel about their dental visits, and we know that we can make a difference by providing a relaxing and positive experience. Our entire team is dedicated to providing you with personalized care and service to make your visits as comfortable as possible. We accept most dental insurance. Here is a short-list of some of the most popular plans we accept. Please contact our office if you do not see your insurance provider listed. A fun day to celebrate, especially if you have young children in your family is the National Tooth Fairy Day, on the 28th February. This day is all about taking proper care of your pearly whites – so it’s not just a good lesson for the kids! Time is flying by – every time you look at your kids, you realize just how quickly life moves. Any good dentist will tell you how important it is to maximize dental insurance before the end of a plan year.